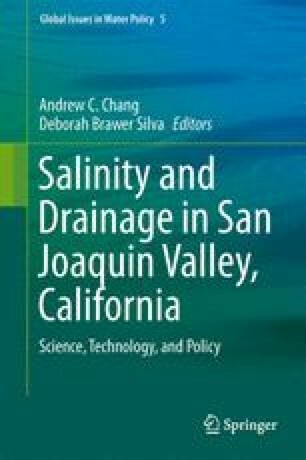 Solutions for salinity problems of irrigated crop production in semiarid areas begin with proper on-farm water management, both irrigation and drainage. San Joaquin Valley has been in the forefront of upgrading the water use efficiencies through improvements in irrigation scheduling in time and amount of water application. To minimize the harmful impacts of drainage water disposals, the water table control and drainage water reuses are being widely adopted.